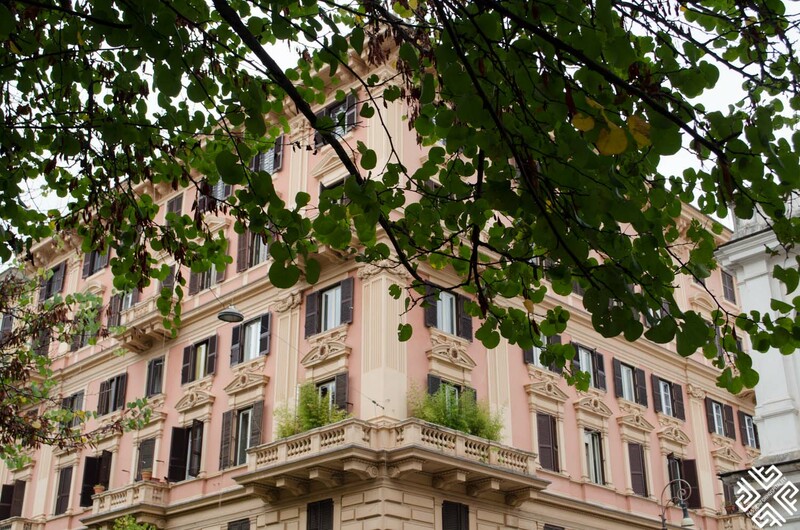 The Prati neighbourhood which translates as the fields of green, built in opposition to the Vatican is characterised by its calmer nature, elegant buildings and wider streets named after historic figures who once fought against the power of the Papal States. 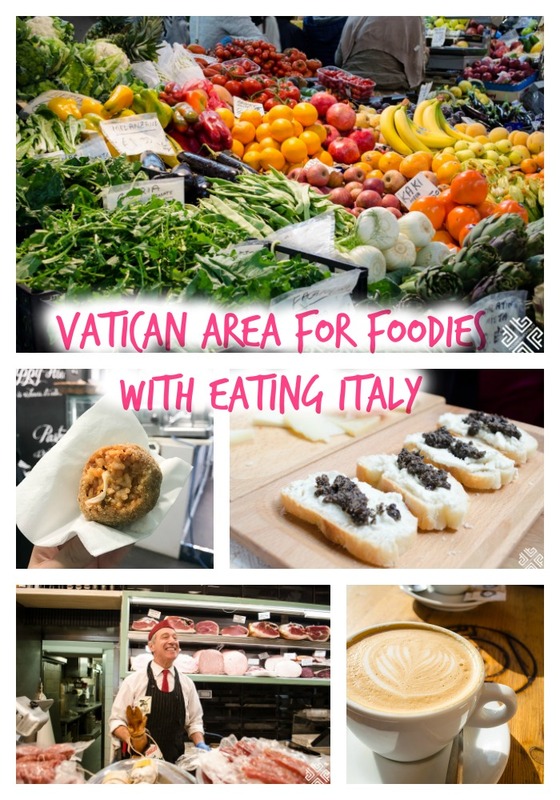 On a sunny Friday morning we joined our charming guide Toni Brancatisano on the Eating Italy: Vatican Area Tour for Foodies to get an insider’s guide to the Vatican Area and this exciting upper-class neighbourhood. In our company we also had Lori Erickson, one of America’s top travel writers specialising in spiritual journey and her husband Bob (passionate photographer), a lovely American couple celebrating their 30th wedding anniversary. 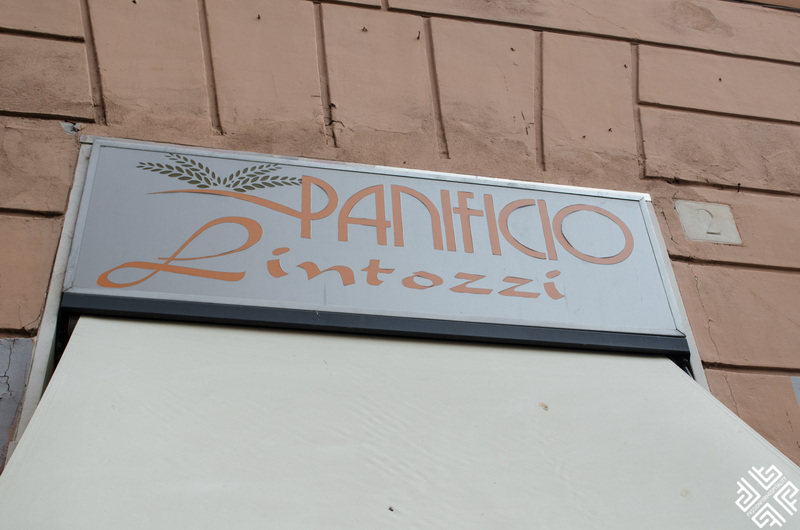 The Prati was built over meadows and its grand palazzi served as homes to the military people as the green fields were perfect for grazing their horses — explained Toni. 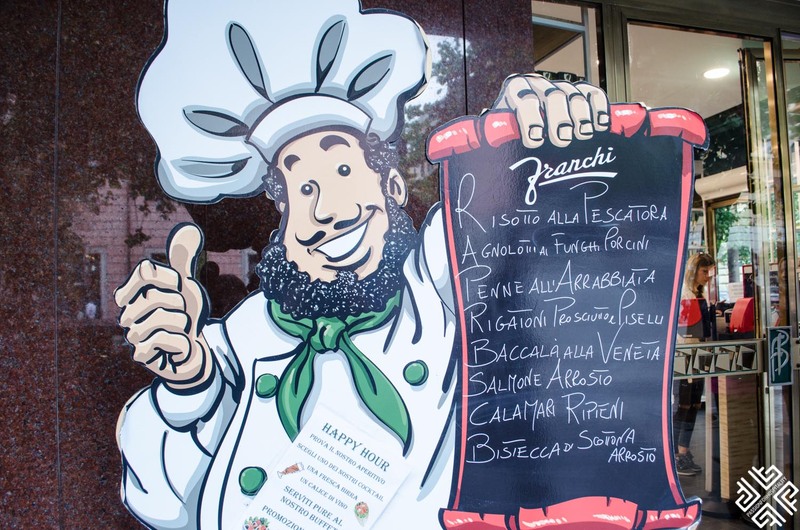 Toni Brancatisano has a very impressive background and wears many hats. Toni grew up in Melbourne, Australia where she studied to become a nurse. Her first working holiday as a nanny to 2-year old triplet girls in London stretched to 3 years, instead of the 6 months that she intended to stay in the first place. Watch the video of our Vatican Area Tour below. In 1998, she arrived for her final summer abroad holiday in Tuscany before returning home to Australia, where she got married and lived for almost fourteen years. 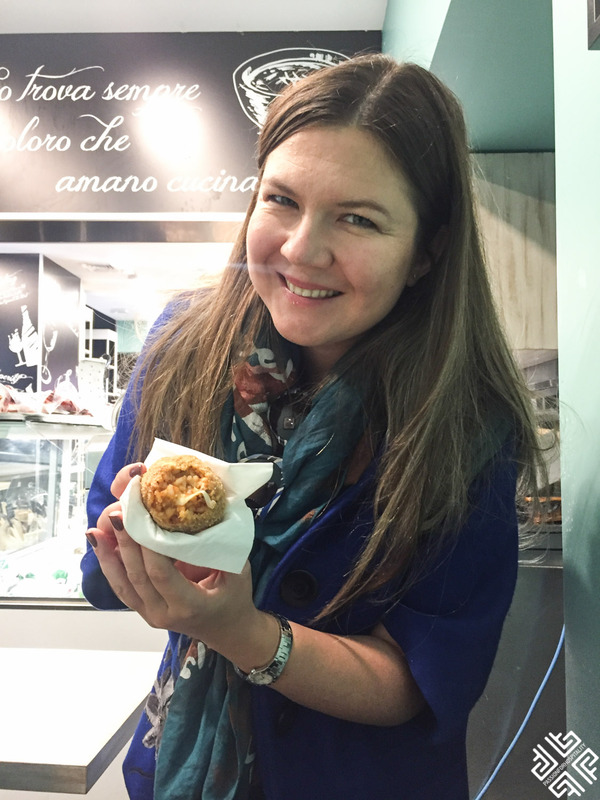 During her time in Italy she has mastered baking and cake decorations which were initially her hobby and later became her profession, appeared on the first cooking reality show in Italy ‘La Scuola – Cucina di Classe’ and has worked on numerous events which connect the two countries, Australia and Italy, just to name a few. 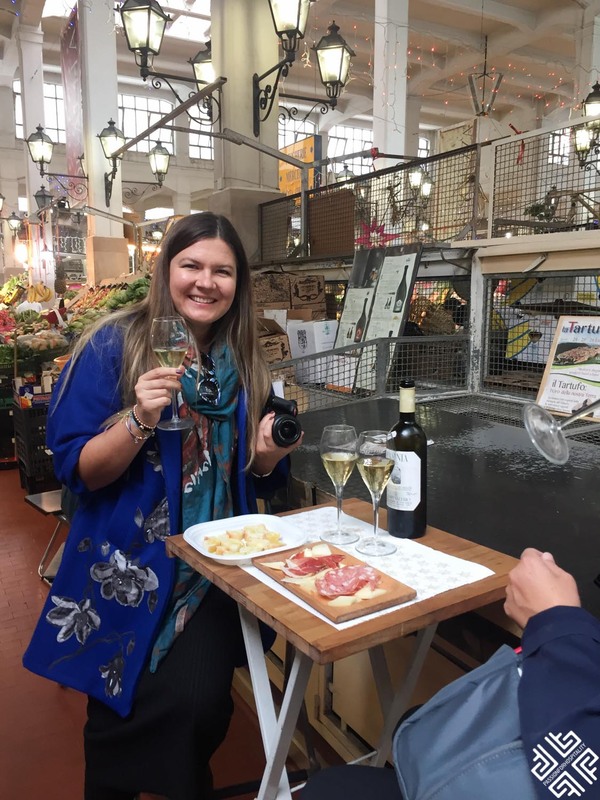 Toni publishes her own food blog, runs a number of food tours with Eating Italy and she knows the Prati neighbourhood as the back of her hands, as she is lives here. Toni’s energy is contagious and her vibrant personality is what makes this tour even more special. 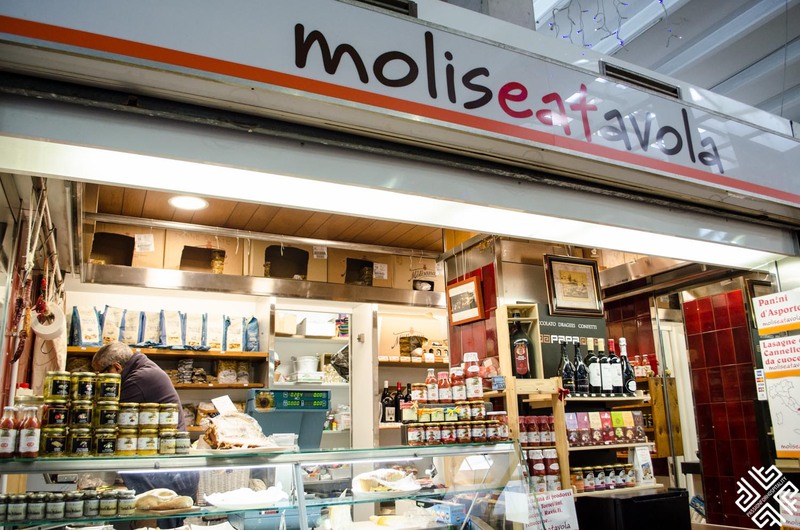 This was my second tour with Eating Europe Food Tours, I had also joined them on the Twilight Soho Tour in London last year which you can read about here. 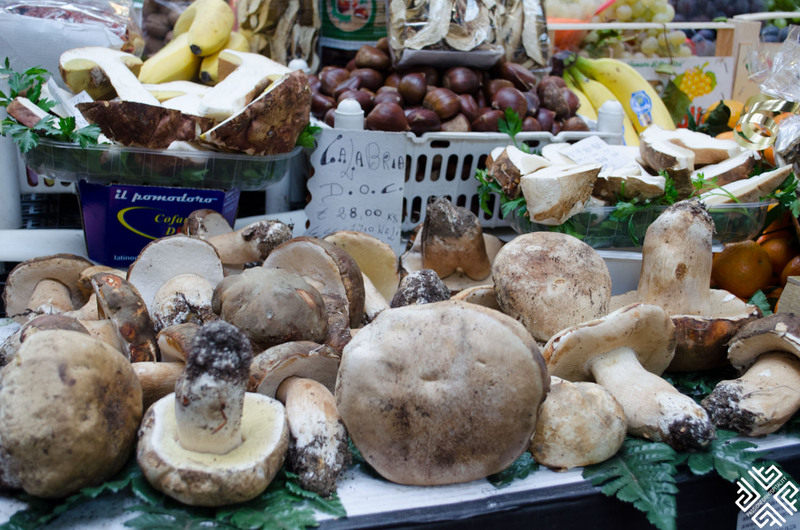 The Vatican Area Tour is shorter than the other food tours in Rome. It lasts 2.5 hours and runs in the morning starting at 10 am, especially designed for those who wish to combine it with a Vatican Tour afterwards. Here is a handful of places we visited to sample some of Rome’s best classics with a modern twist. 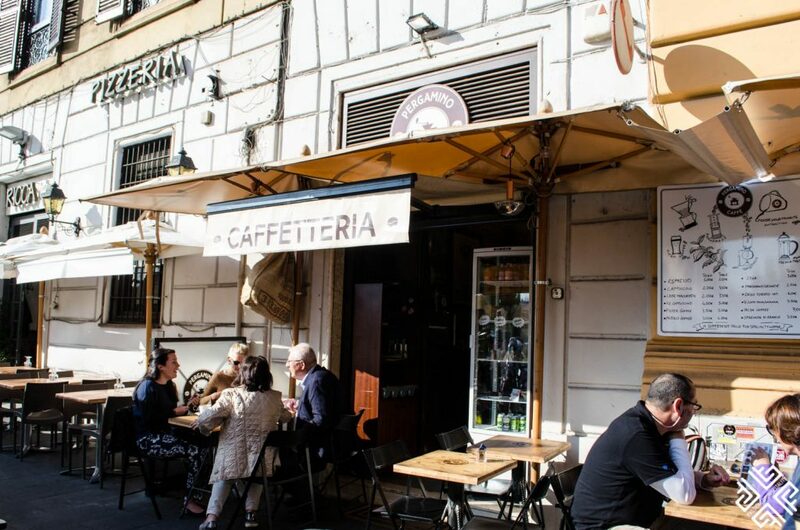 First things first start the day like a true Italian with a delicious cup of coffee at a specialty coffee joint. Pergamino translates as the little membrane that protects the coffee bean. 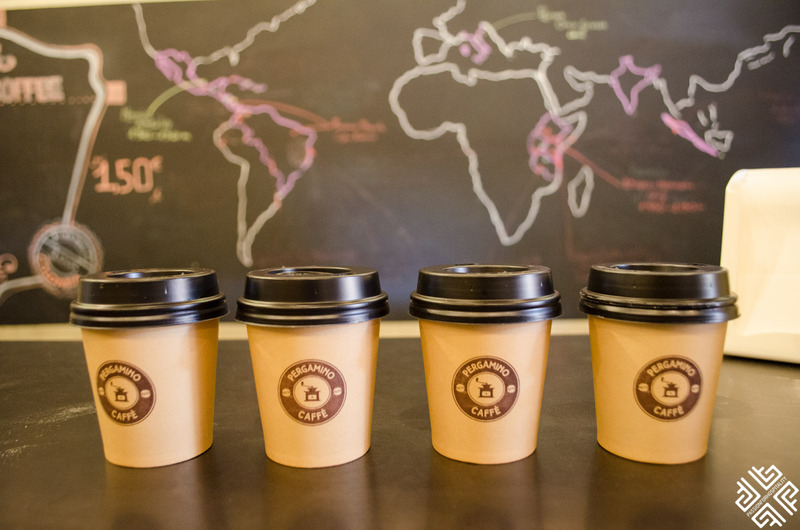 We started our morning food tour in Vatican Area with a cappuccino and then inside after the introduction we received a small carton cup with deliciously roasted filter coffee. 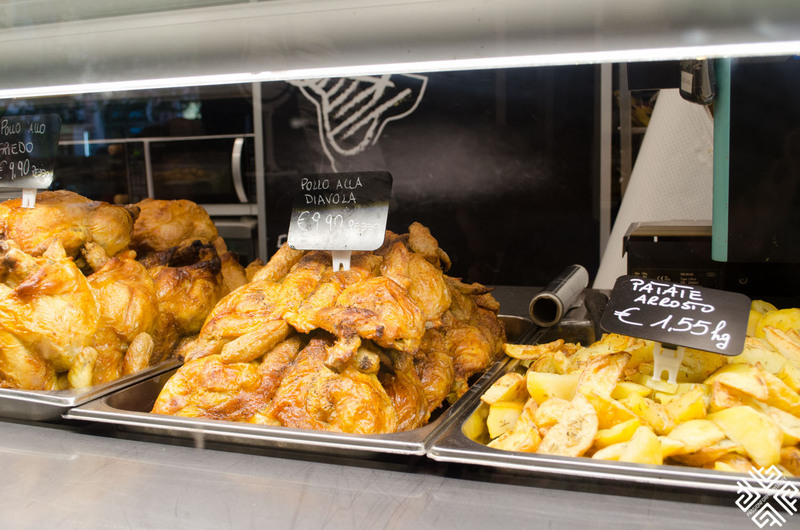 Our food journey then continued to the region of Sicily where we sampled some traditional Sicilian street food in a cute little shop with a few tables and chairs. 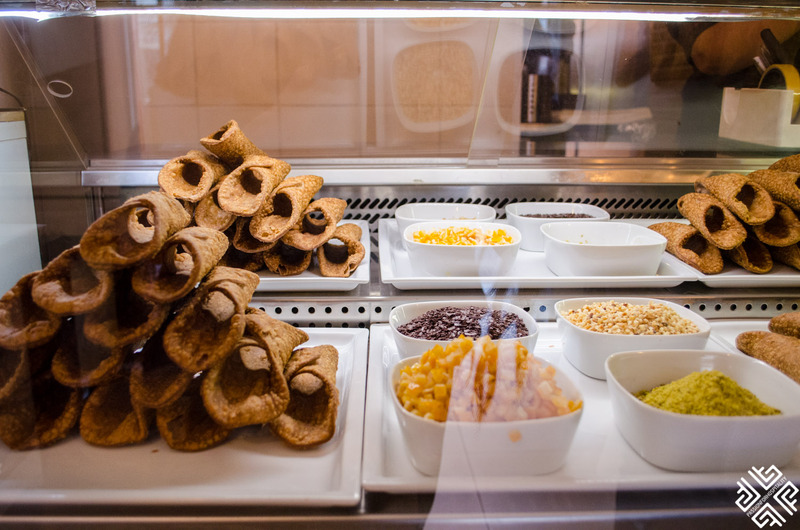 The cannoli which means the little tube is an Italian pastry, a staple of the Sicilian cuisine. 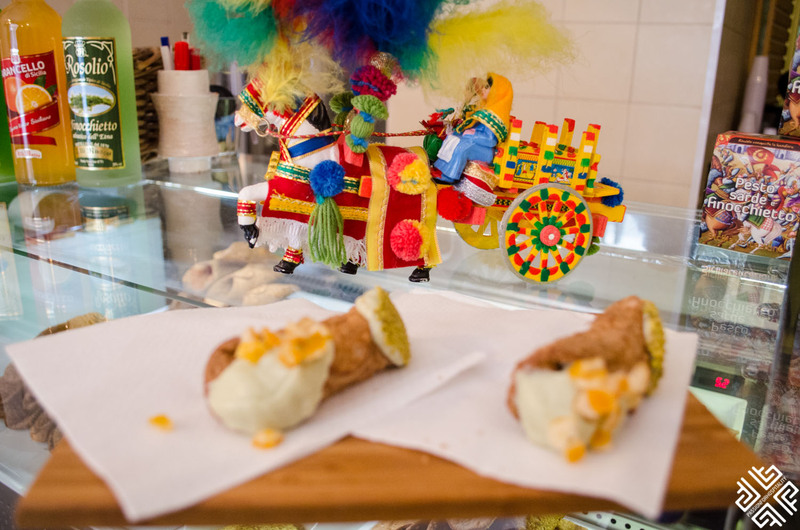 The little tube is filled with fresh ricotta cheese from both sides and dipped into a topping of your choice — I went for pistachio from one side and orange peel from another. 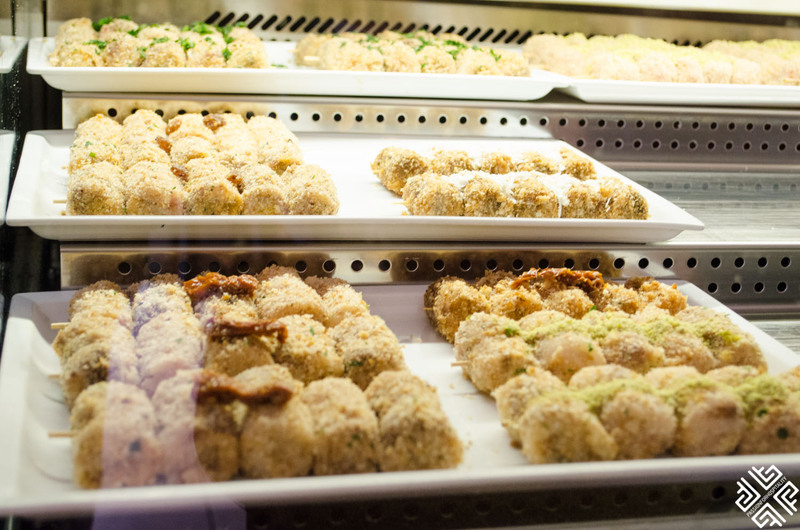 This busy little local Italian bakery has been the centre of bustling crowds for years. First you must get a ticket and wait in queue for your turn. 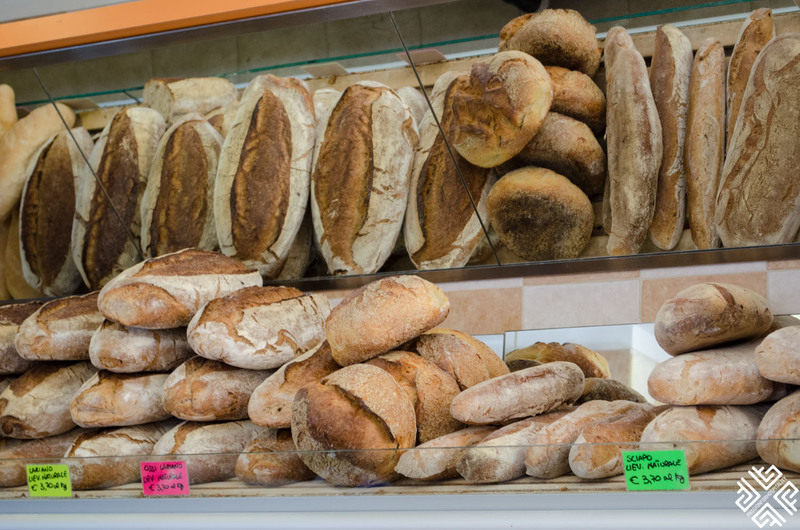 Here you can buy your bread for the day and not necessarily a loaf. 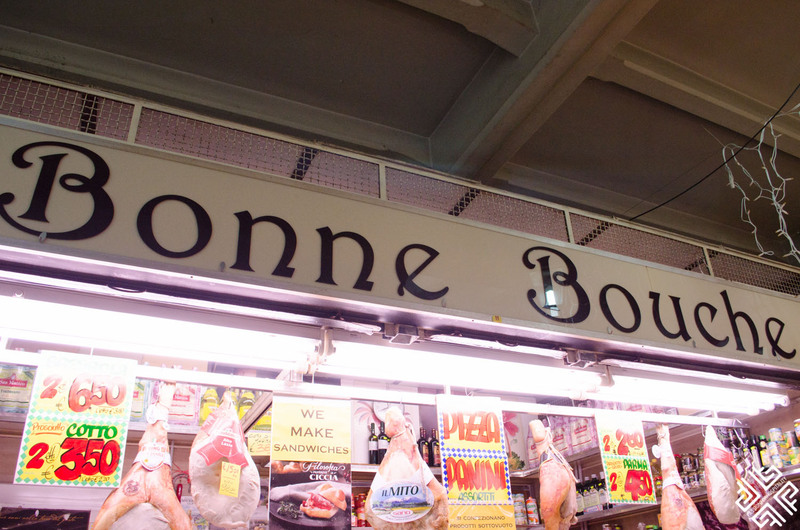 As Toni explained you can ask for as much as you think you can consume. 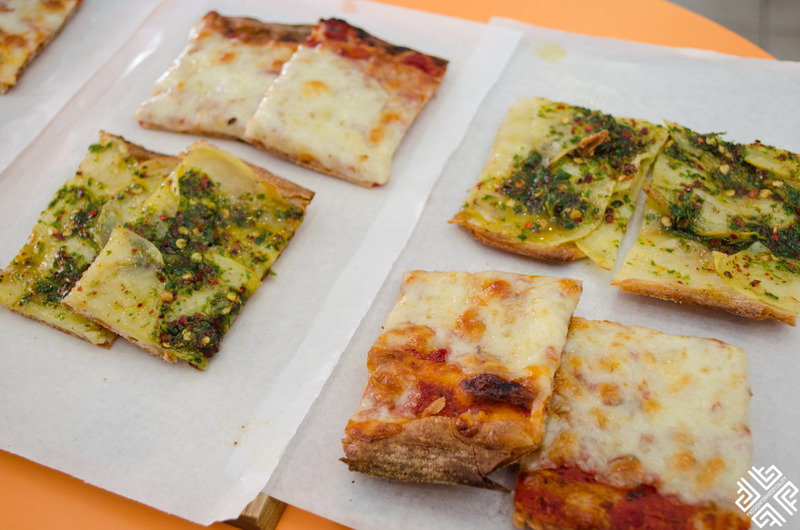 Here we savoured a few pieces of fantastic Roman pizza made with ultra thin-crust. I particularly liked the one with the thin potato slices as I have never tried something similar before. 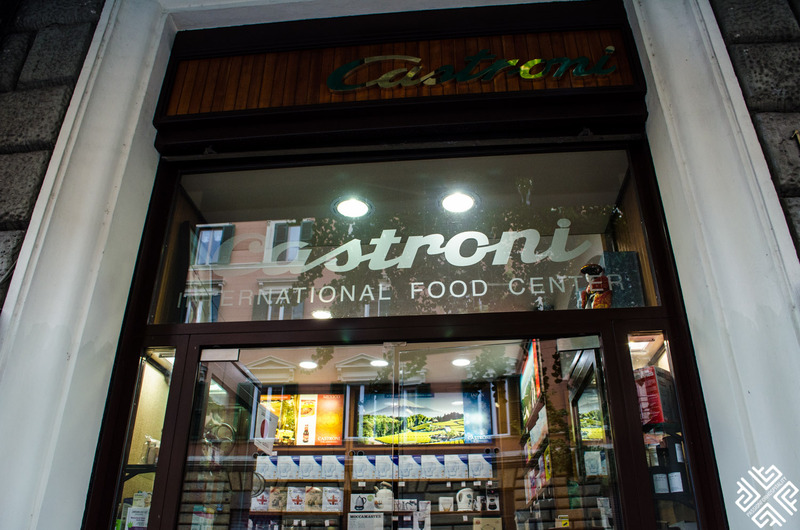 On our way to the next destination we passed through a Castroni shop which has numerous locations around Rome. 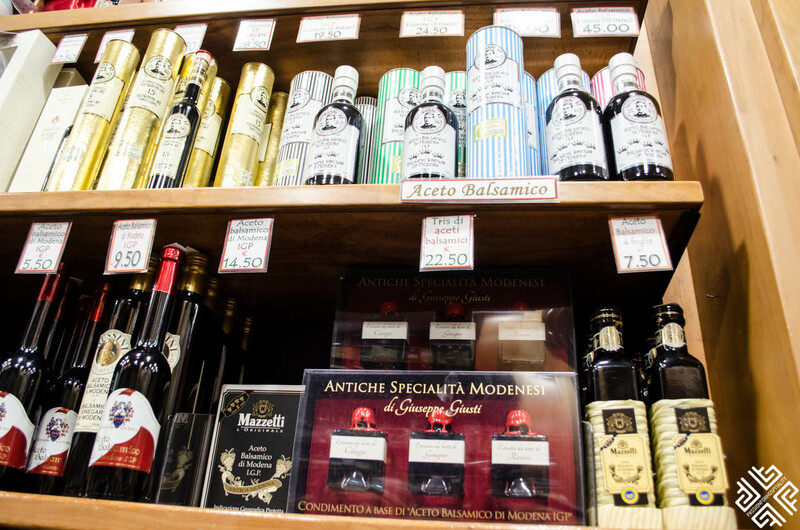 In here you can find a wide selection of Italian and international delicatessen. 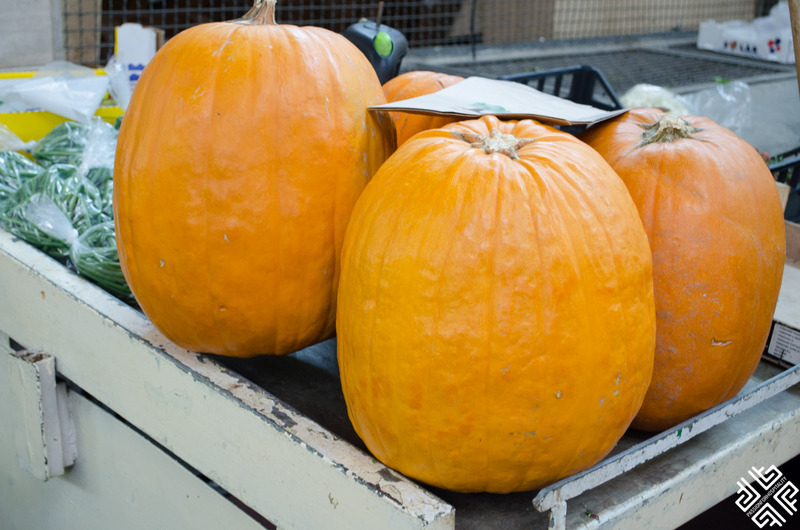 Any foods or spices you might like you can find it here, including freshly grounded coffee. 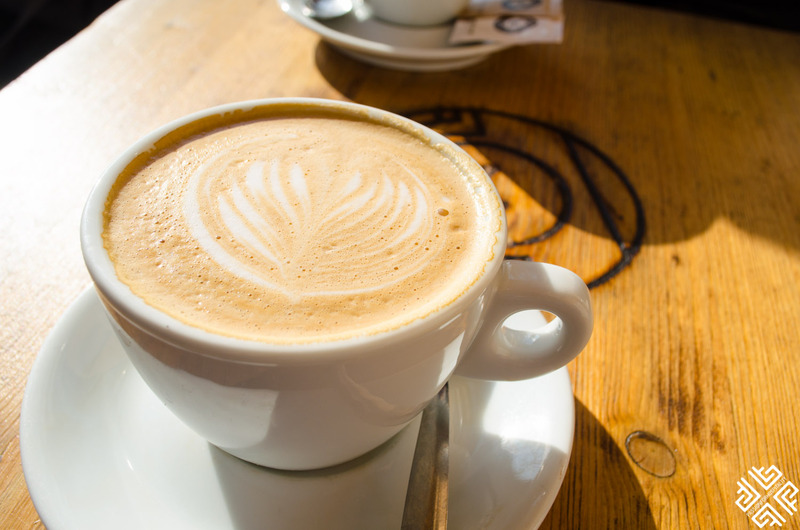 There is also a coffee stall, thus you can enjoy a cup of coffee while you are shopping. 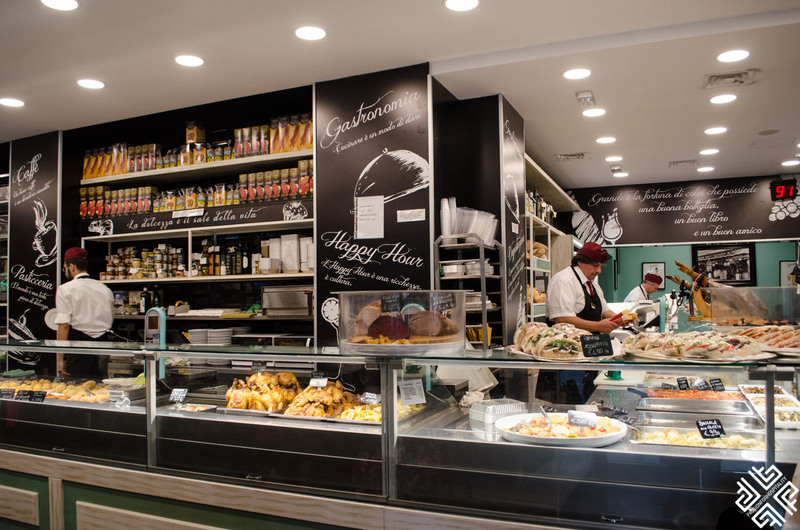 This recently refurbished traditional gourmet delicatessen was established in the 1920s by two brothers. Today it has a modern feel as the new generation has taken over, although some locals still reminisce their old looking local hangout place. 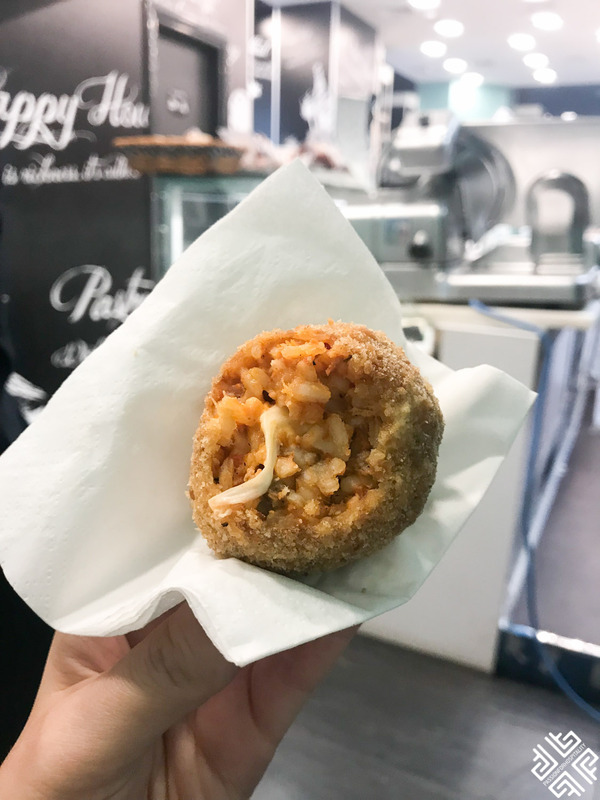 At Franchi’s we tried the suppli —a surprise rice ball that is filled with ragu sauce and warm mozzarella which simply melts in your mouth. 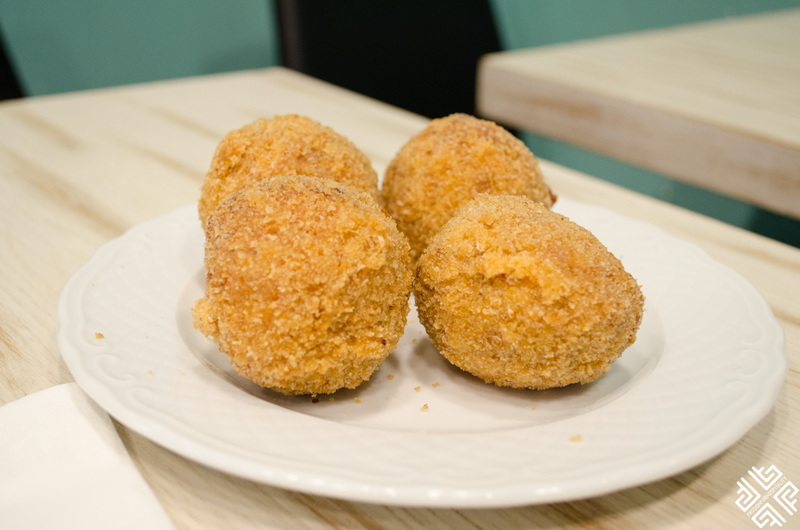 These fried to perfection rice balls are rather filling. 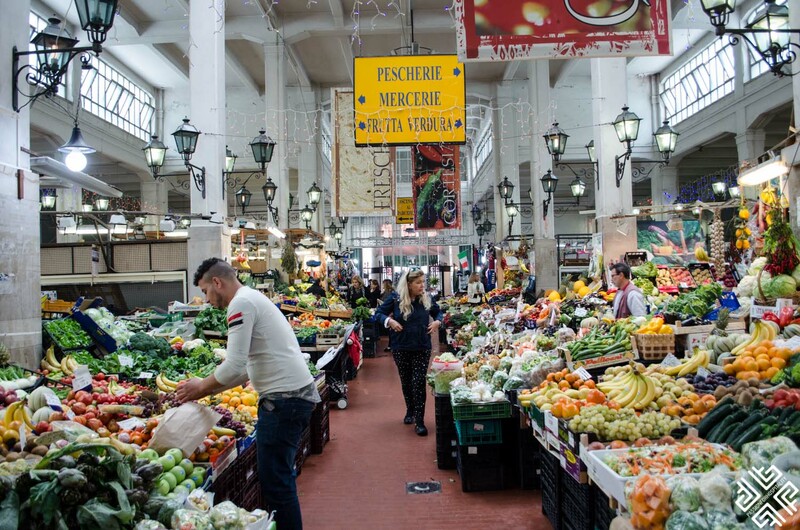 The Art-Deco style, covered market is one of the few that are left in the city as the food trends have changed over the years, with new supermarkets popping up every second. 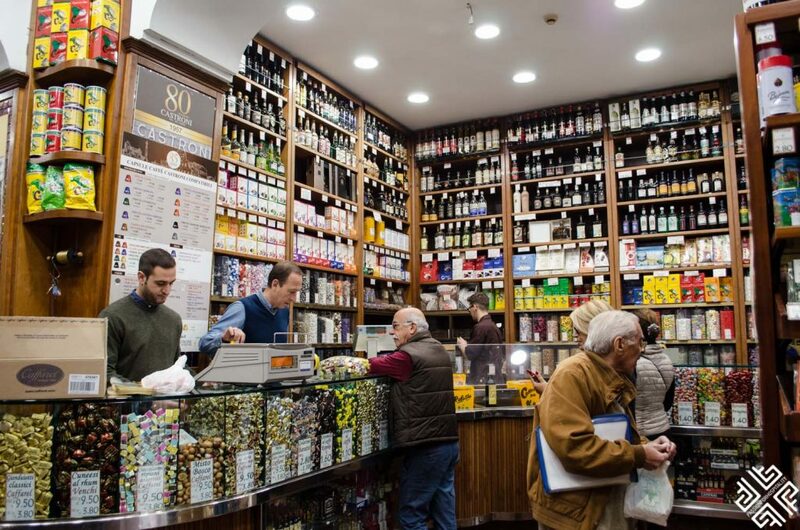 The old traditions of visiting your local suppliers, the small specialty shops are slowly becoming extinct. 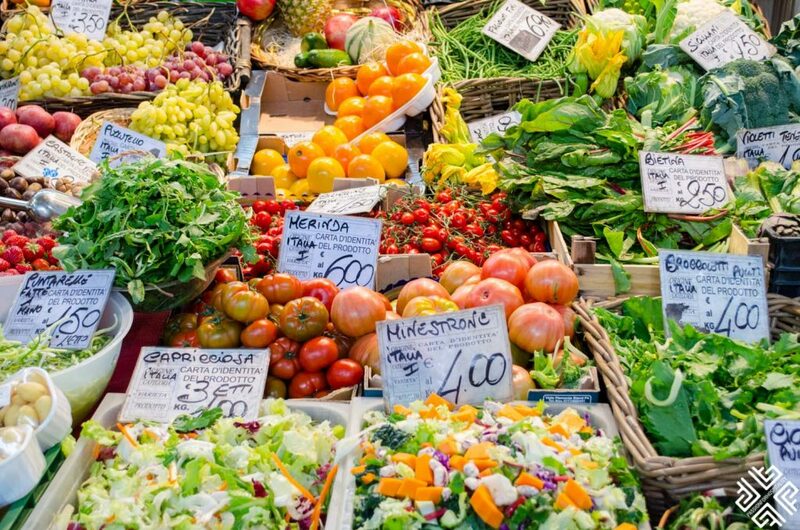 The real draw of this place are the colourful stalls selling fresh produce like vegetables, fruits, meats and cheeses. 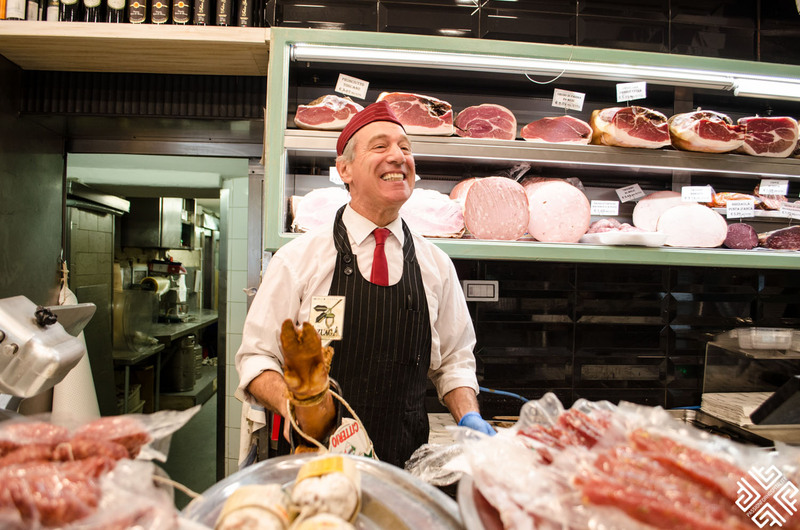 Alimentary is an authentic grocery store which has been run by two friends for decades. 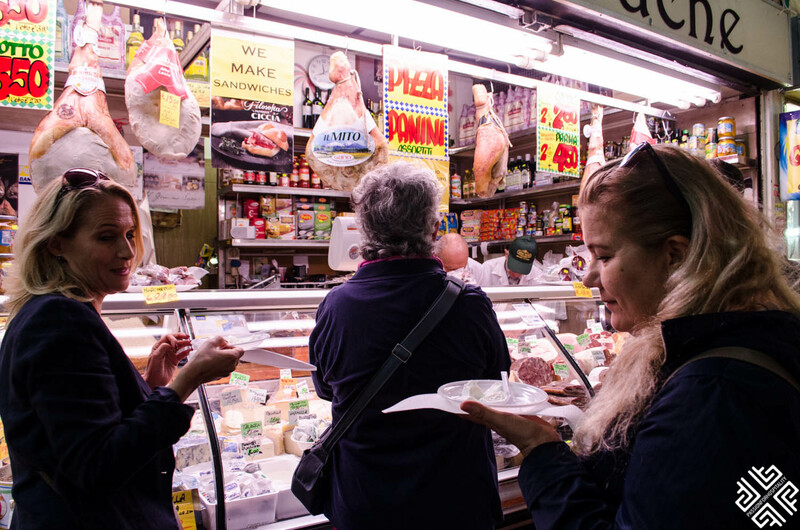 Here we stopped to try delicious buffalo mozzarella with origins from the Campania region. 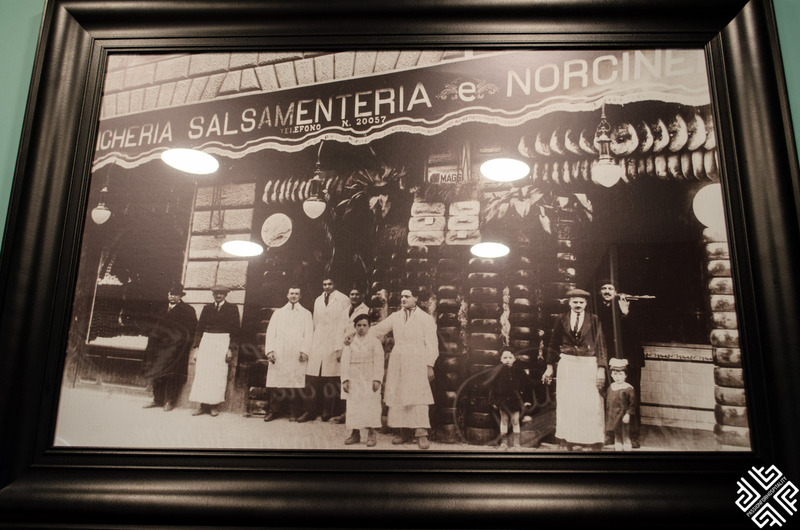 Our next stop was right around the corner at Dominico’s place, Mimo for short. 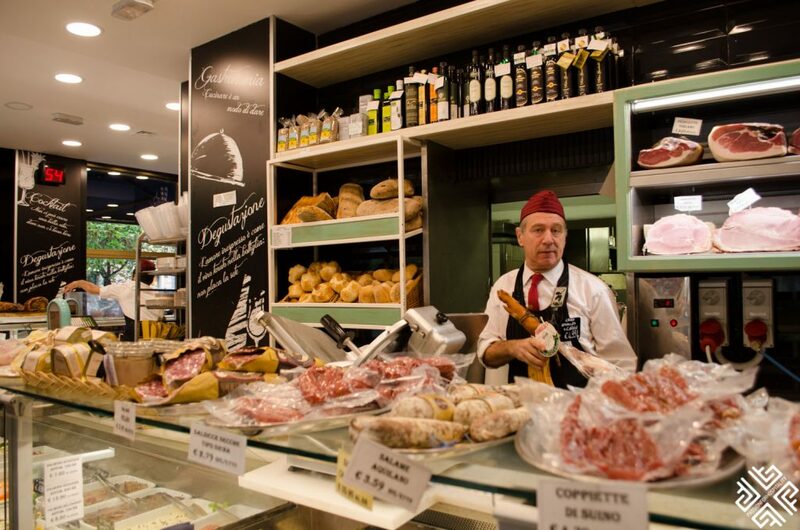 Mimo had prepared a lovely selection of gastronomic specialties like prosciutto, cheese and truffle from Molise region. We also had some refreshing white wine. Our final stop was at Be. Re which was also the meeting point of the tour. 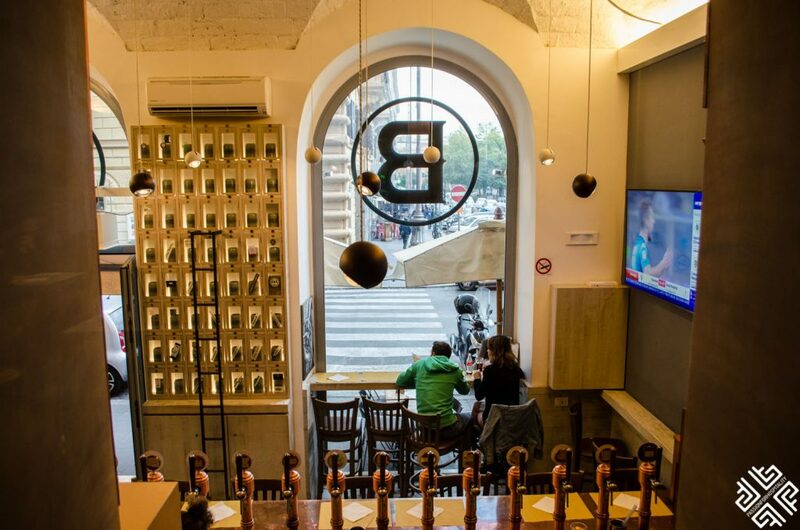 This is a hip new place in the area serving Trapezzino — a pizza pocket that has become Rome’s hottest street food trend. 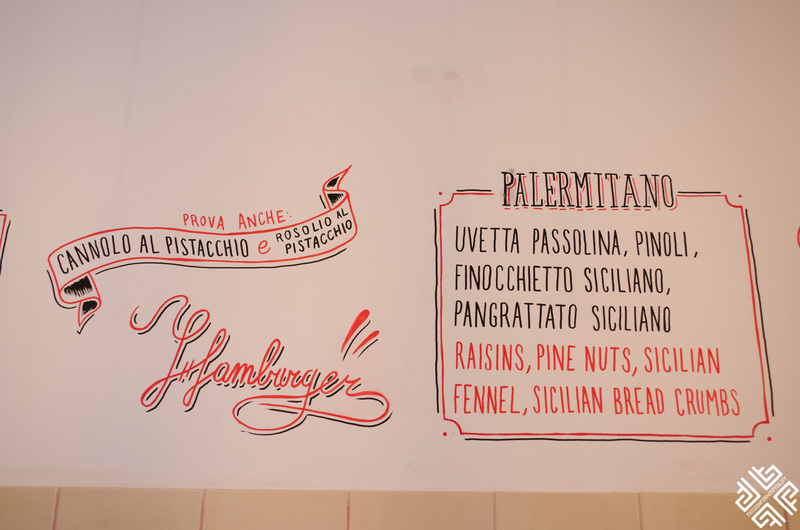 Invented by Stefano Callegari in 2008 it combines tramezzino (a triangular sandwich) and pizza. 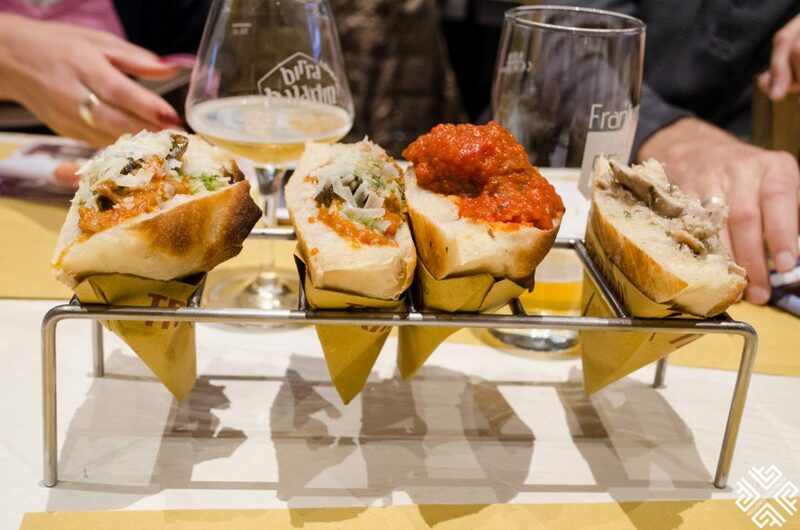 The pizza pocket is filled with ingredients of your choice and is recommended to be enjoyed with local craft beer. I had the one with meatballs in red tomato sauce. 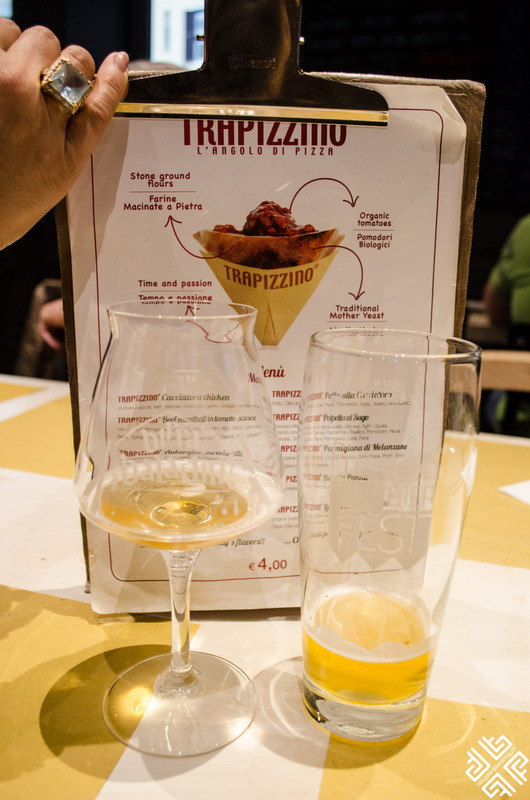 I especially liked the Tipopils which is a Pilsener beer by Birrificio Italiano, a brewery in Lurago Marinone. 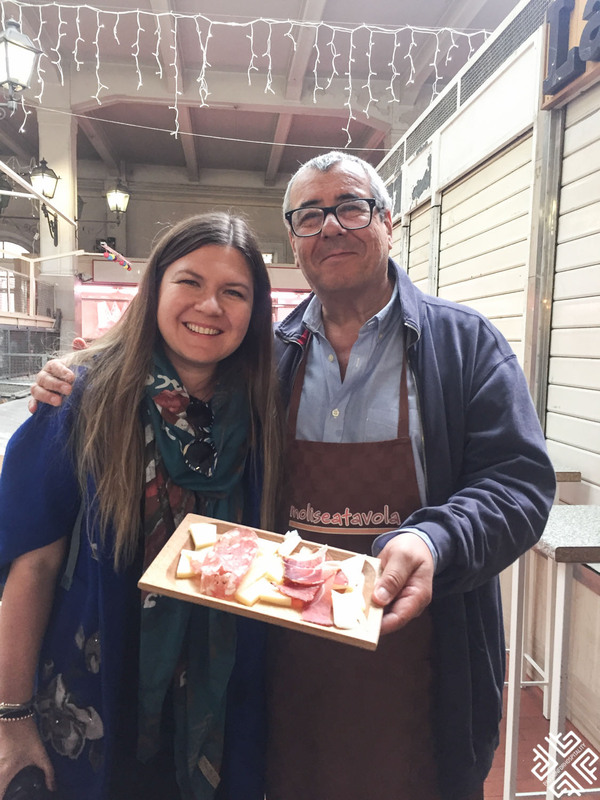 The Vatican Area Tour for Foodies was a fantastic opportunity to explore the local area of Prati, to sample authentic Italian food and to learn all about the latest food trends in Rome. Toni was a fantastic guide and gave us informative insights into the every day lives of the Romans. 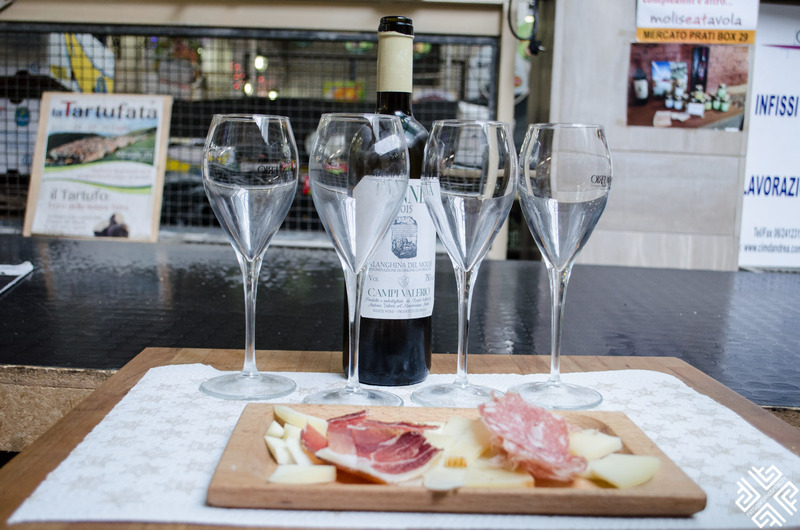 If you love food and travel, this is the perfect combination to enjoy your day with Eating Italy. 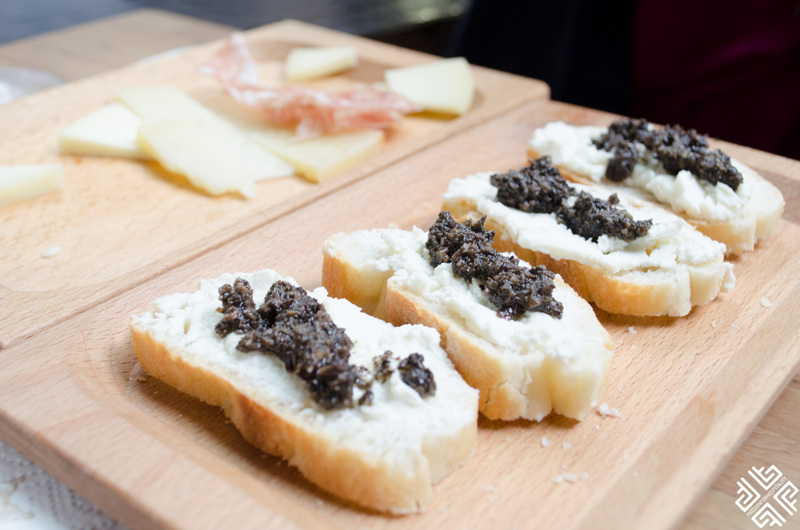 Have you been on any food tours which you liked? 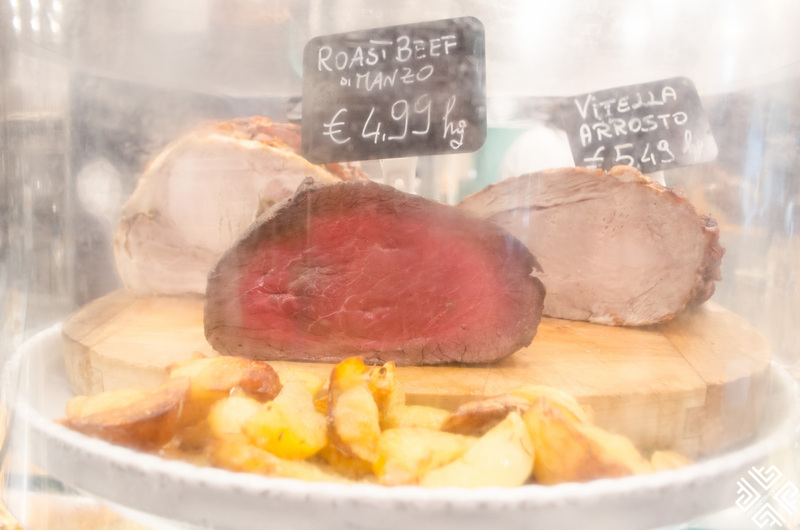 *Passion for Hospitality was a guest of Eating Europe Food Tours, all opinions expressed are my own.